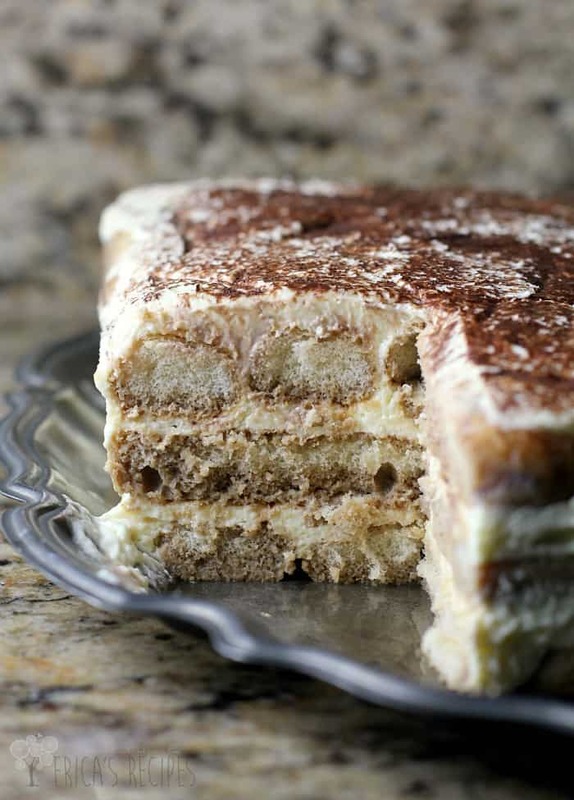 Tiramisu meets latte meets booze. In the dreamiest way possible. 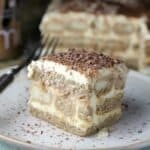 This Espresso Macchiato Tiramisu recipe, steered by the classic, is as close to Italian dessert heaven as my kitchen has ever brought me. Make this very special decadence for your holiday, celebration, or just because. This post is sponsored and intended for readers 21 and older. 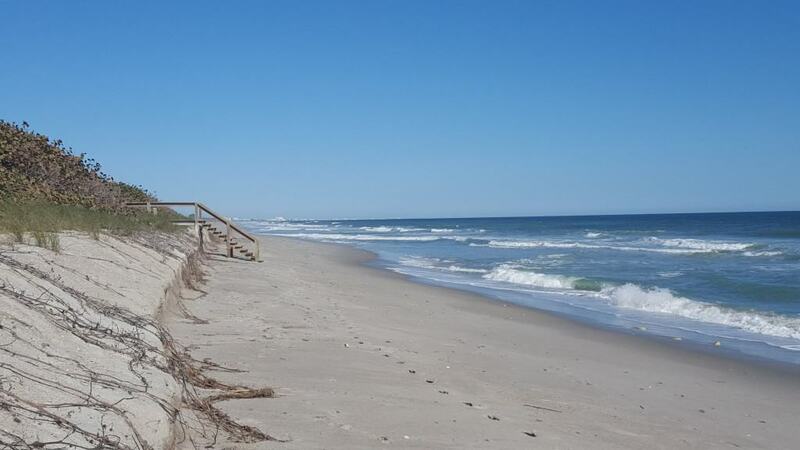 Took this a couple days ago …Solitude can be sacred. With noone yelling “Mom! Mom! Mom!”. This year, however, our Christmas has had a sizeable hiccup. As I am typing, I am sitting in a construction zone. My home is currently a frustrating chaos. We had so much ridiculous rain this summer that four rooms of our house ended up with water damage and mold. The mold removal happened months ago, but the repairs are finally happening this week. …A week before Christmas yayyy. …This calls for an adult beverage. And a dessert. The custard layer. I wanted the custard luscious, but not dense and not heavy and not too soft. I also wanted the prep to be easy, so I gotta be honest folks – I considered skipping the egg step altogether, but my 13yo demanded I stay true to tiramisu. I was all, “You are totally tiramisu shaming me aren’t you”. She replied, “Yes”. ..You can thank her. First, we get the eggs and sugar smooth and frothy over a boiling water bath. Then, we make some pretty decadent ingredients lighter by folding whipped cream into the mix, introducing air. Then we gently blend it all with delicious cream cheese. The result is a spreadable custard that is just about one of the heaven-li-est things ever. The assembly is the fun part. First, we dip Italian lady fingers in our delicious Creamy Espresso Macchiato mü coffeehouse cocktail. Then we spread custard. We repeat this a couple times, springle cocoa over top, and wrap it up for nighty night in the fridge. The next day, we get it out of the pan for a beautiful presentation, which may sound difficult but it was really easy to do thanks to the plastic wrap. 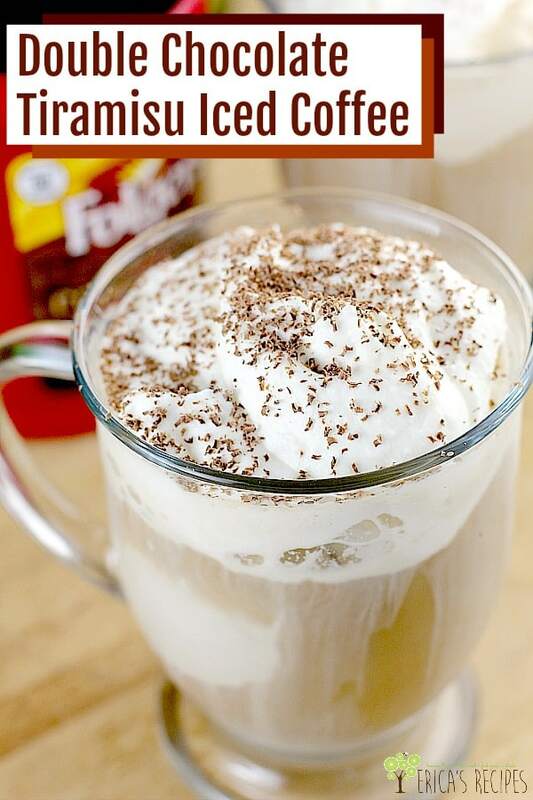 This recipe was totally inspired by the Creamy Espresso Macchiato mü used to soak the fingers and flavor the whole thing. I only recently learned about mü coffeehouse cocktails, and holy hell are they good. Picture your morning latte meeting happy hour. Yeah, they are that. They come in four flavors: Creamy Vanilla Latte, Creamy Coco Cappuccino, Creamy Chocolate Chai, Creamy Espresso Macchiato, and they are all creamyyyy and so gooood. With 13.9% alcohol. Boom. So here it is kids. This tiramisu is SO GOOD (sorry for the caps, but this is THAT good) and totally kicked up in that grown-up way we love. Beautiful, delicious, classic, and make-ahead. This dessert is a perfect add to your Christmas menu. 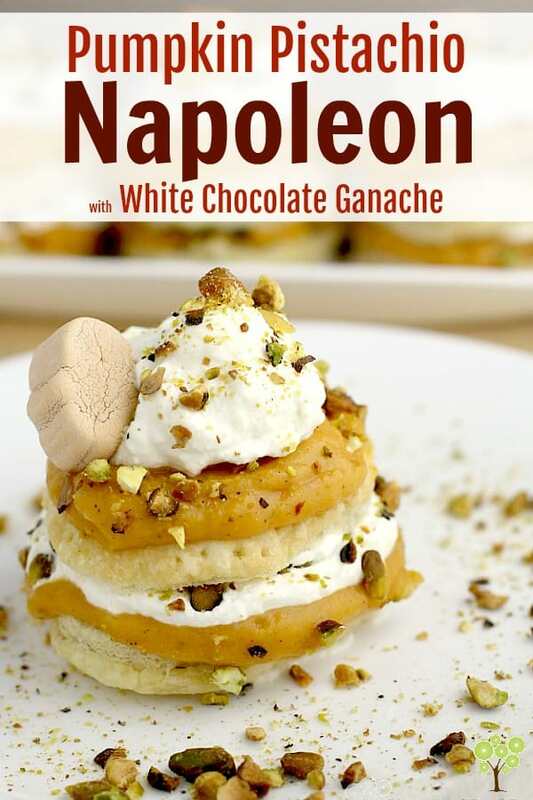 Make this very special decadence for your holiday, celebration, or just because. Add the egg yolks and sugar to a medium glass bowl. Place over boiling water in a medium saucepan, without the water touching the bowl, to make a double boiler. Whisk constantly and heat the yolk-sugar mixture for 10 minutes to dissolve the sugar and heat the mixture. Remove from the heat. Whisk in 1 tablespoon whipping cream to keep the mixture from seizing. Transfer this egg mixture from the hot bowl to a new bowl to cool (using a rubber spatula helps). Add the remaining cream to a chilled bowl. 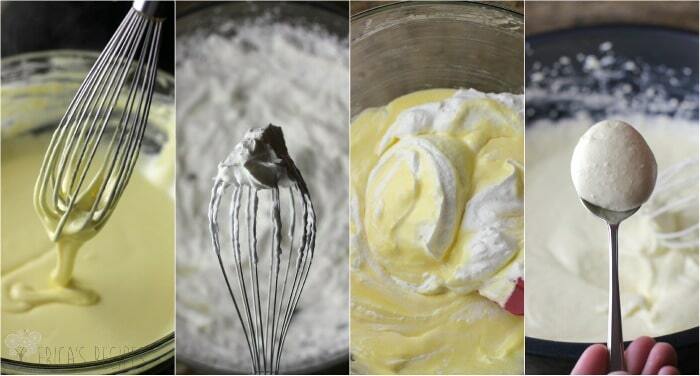 Use an electric mixer to whip the cream to stiff peaks. Add a third of the whipped cream to the cooled egg-sugar mixture and use a rubber spatula to fold it in. Repeat twice to get all the whipped cream combined with the egg mixture. In a large mixing bowl, whip the cream cheese until fluffy. Add the whipped cream-egg-sugar mixture to the cream cheese. Using the lowest setting on the electric mixer, mix until combined and smooth. Set aside. Line a 9x9 baking pan or dish with plastic wrap leaving enough overhang to fold over top once filled. One-by-one, dip a lady finger in Creamy Espresso Macchiato mü coffeehouse cocktail to coat well and soak in a little, then layer in the pan. The first layer will use 16 lady fingers. Spread a third of the cream cheese mixture over the first layer of lady fingers. Make a second layer of lady fingers, this time laying the biscuits in the pan in the opposite direction as the first. Spread another third of the cream cheese layer over. Repeat again with the remaining lady fingers and cream cheese mixture. Dust cocoa over top of the tiramisu. Fold the plastic wrap over top. Set in the fridge to chill 4 hours to overnight. 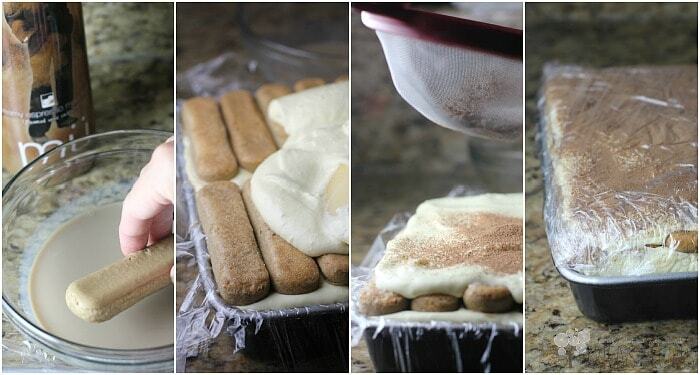 Get the tiramisu out of the pan for presentation. Lay a plate over top of the fully chilled tiramisu, still wrapped in plastic wrap. Invert onto the plate and remove the bottom of the plastic wrap (I used scissors to just cut around). Then use the serving plate and lay on the tiramisu and invert so it is again upright. Remove the remaining plastic wrap. Shave dark chocolate overtop, slice and serve. 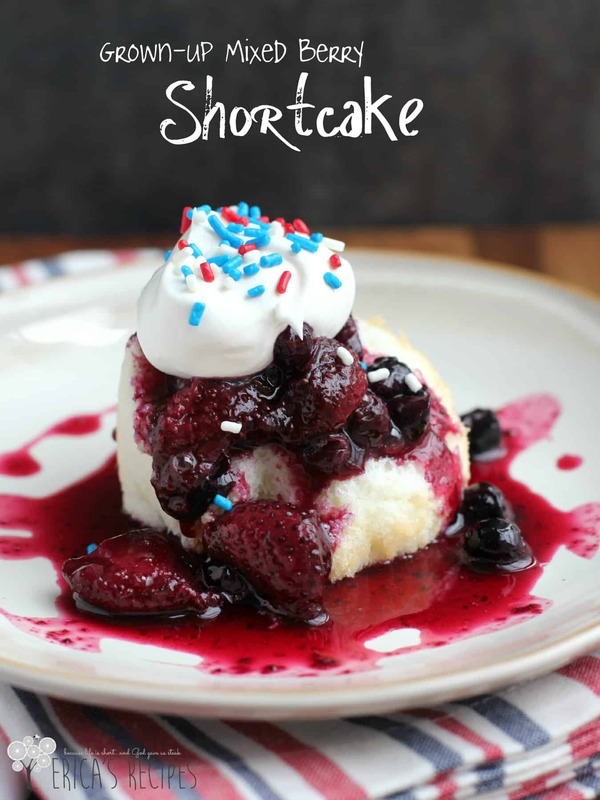 If this recipe looks good, check out these other dessert ideas. The Hubby would love this version! 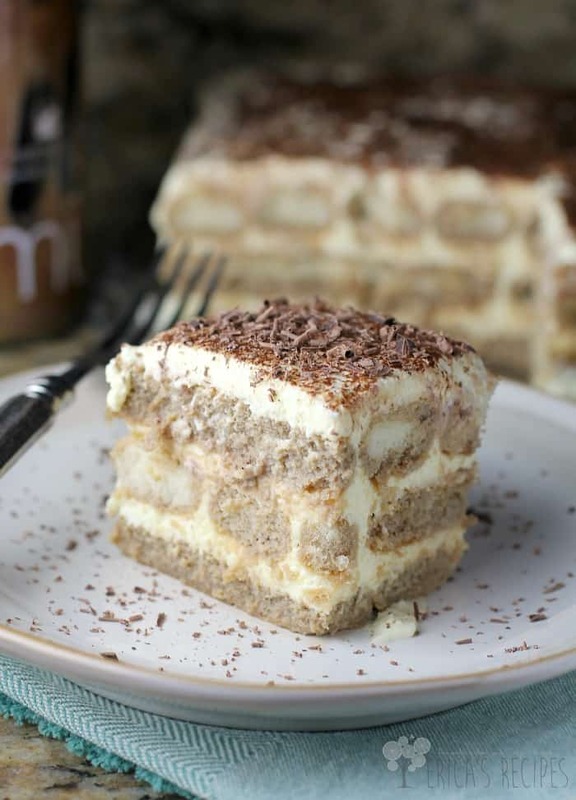 Espresso Macchiato Tiramisu…YUM! This looks and sounds amazing!! I like MU’s vanilla flavor. That looks so yummy. 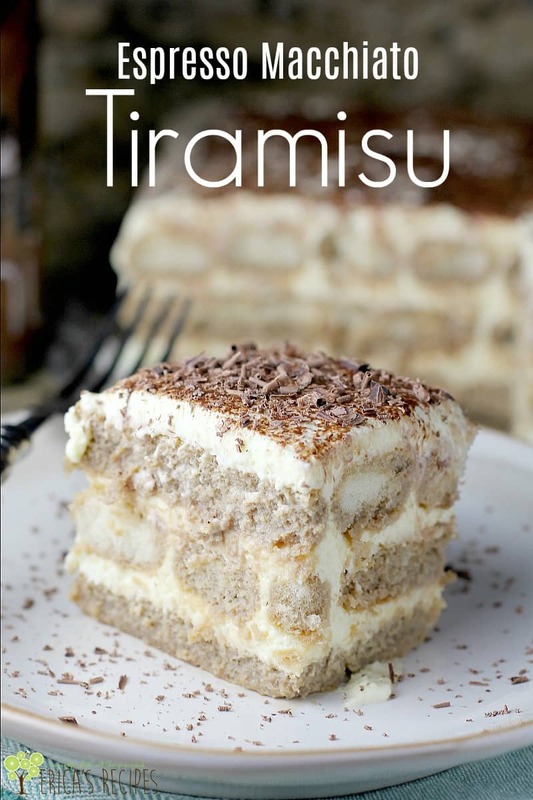 I haven’t had a tiramisu in a long time and now I want one! 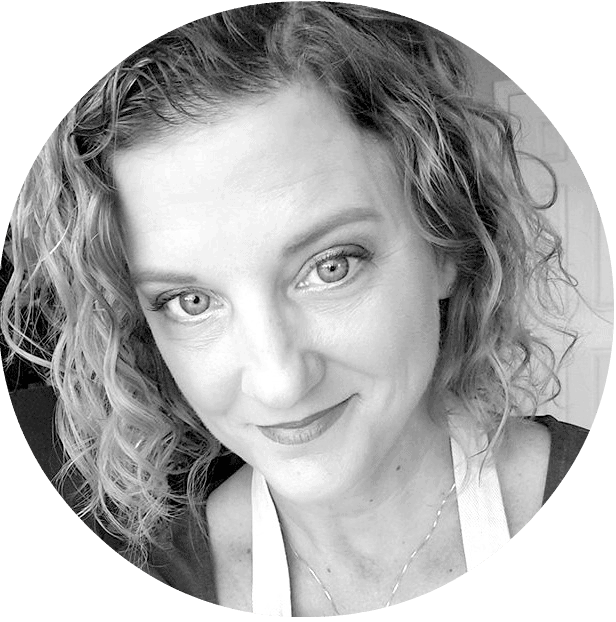 I love this recipe Erica. I will have to find that Macchiato Cocktail! I have never made tirimusu before, I NEED to make your version. That custard looks to die for! Mmmm that sounds so good. 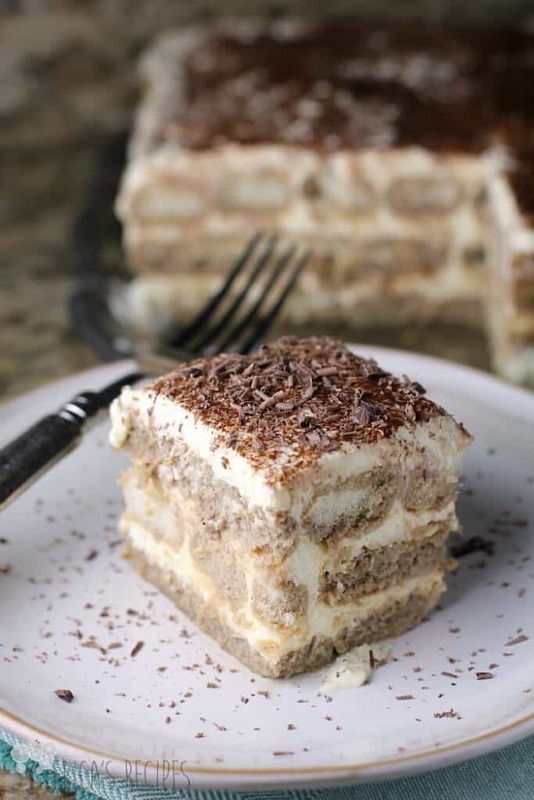 I love espresso everything, but this tiramisu looks like heaven. OMG! Such a mouth watering food. I want to try these, So heaven. I’ve never tried tiramisu, but I can tell that I would love it. It looks fantabulous! 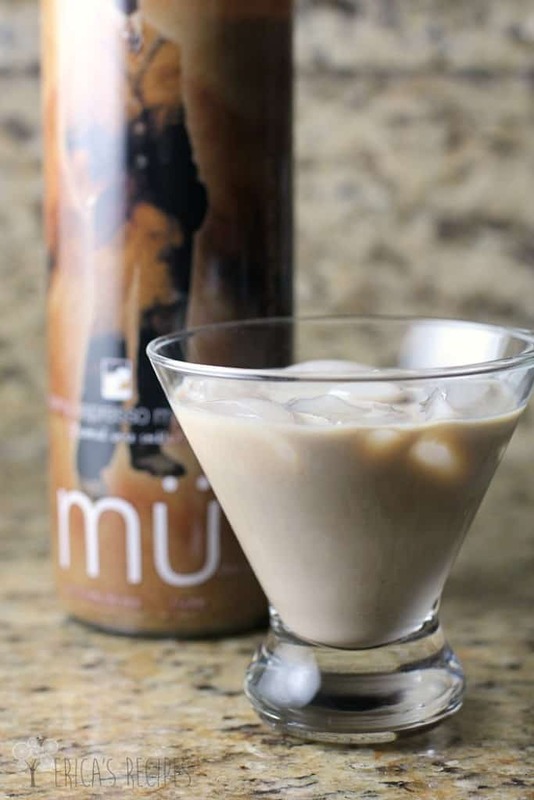 The Mu coffee house cocktail is not sold in Illinois. 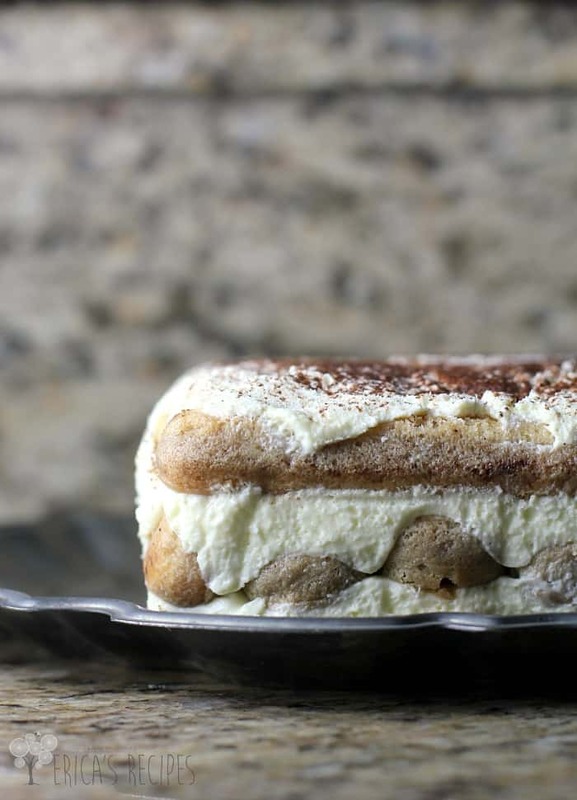 I like that you used cream cheese in your tiramisu instead of mascarpone, which tends to be on the expensive side. I’ll let yo know how this turns out as I will be making it for New Years! Thanks!